Genoa, for me, are a very easy club to identify with because of their English roots. I can’t say that the Rossoblu’s heritage gave me an instant connection to the club but, as a Brit, it caught my attention and got me interested in the club. It was like bait: at the faintest whiff of a similarity between Genoa and myself I instantly wanted to learn more about the club, their history, and the legacy of their English founders. James Richardson Spensley and William Garbutt aren’t exactly revered in their home country and this is a big shame. I’m willing to bet that calcio would be even more popular in Britain if more of us took the time to research this unique link between our island and Italian football’s genesis. Spensley and Garbutt both had huge roles to play in shaping Genoa’s early years. Born in London in 1867, Spensley first arrived on the peninsula in early 1896. A doctor, Spensley’s initial duty was to tend to the crews of British coal ships docked in the port city. He joined Genoa’s cricket & athletics club after three months in Italy, and personally opened the club’s footballing section in April 1987. Playing as a defender during the club’s first two seasons and a goalkeeper from thereon, Spensley was one of only two players two feature in all of Genoa’s six championship-winning campaigns between 1898 and 1904. He retired a few years after the Grifone’s last title win, and would continue his football career as a coach and referee. To truly appreciate Spensley’s contribution to Italian football’s development I think it’s important to acknowledge just how big a deal Genoa were back then. Genoa are often believed to be Italy’s first dedicated football club, although there exists evidence suggesting that the first Italian football club was founded in Turin. The first ever Italian Football Championship took place in 1987. The structure saw several regional groups compete in small round-robin competitions (not unlike today’s Champions League group stage) with the winners advancing to a play-off stage. Genoa bettered three Turinese clubs in this stage of the competition (FBC Torinese, Ginnastica Torino and Internazionale Torino), and eventually beat Internazionale 3-1 to win the competition’s final. A long period of dominance followed. Think Inter Milan under Jose Mourinho or Roberto Mancini or Milan and Juventus in the 1990’s. Genoa were calcio’s first true powerhouse club, winning 6 out of the first 7 Italian Football Championships, and none of it would’ve been possible without James Richardson Spensley. 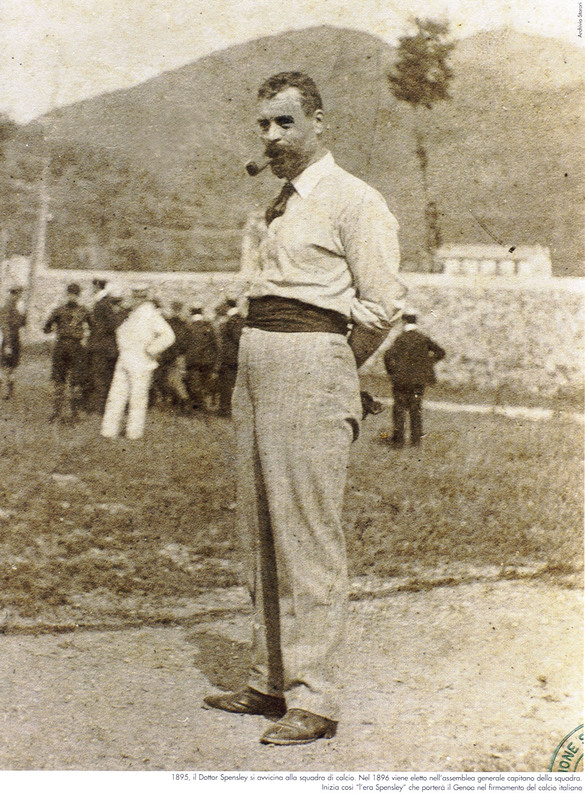 Not only did he establish one of calcio’s most significant clubs, but he helped introduce football to the Italian people by forcing through a vote allowing native players to join Genoa C.F.C.’s ranks. Originally Genoa only admitted English players and Italians were hesitant, but the floodgates to over 100 years worth of history in one of the world’s most decorated footballing nations had been opened. Spensley sadly perished in Mainz, 1910 while on active duty as an army medic during the First World War while compassionately tending to the wounds of a fallen enemy. His name is scarcely mentioned in Britain, but the Genoese will always rightly remember Spensley as one of Italian football’s founding fathers. William Garbutt didn’t arrive in Genoa until two years after Spensley’s passing. The Stockport native had had a modest playing career with the likes of Woolwich Arsenal and Blackburn Rovers, but was forced to retire in 1912 (aged 29) as persistent injuries took their toll. In need of a means of supporting his family after his forced retirement, Garbutt moved to Genoa later that year to work as a docker. He was appointed Genoa’s first ever head coach on the 30th July, but how this came about is unclear. There are two popular theories: some believe that Thomas Coggins (and Irishman who’d been coaching Genoa’s youth team at the time) pushed for his appointment, while others say he was recommended by future World Cup-winning manager Vittorio Pozzo. Either way, Genoa (the most successful club in Italian football to that date) had employed an Englishman with zero managerial experience completely out of the blue. Garbutt would revolutionise Genoa C.F.C. One of his first acts was to dismantle and re-assemble the Rossoblu’s training methods, and he is noted as one of the first managers to recognise the importance of physical fitness and tactics. To this day Italian football is still known for its tactical sophistication and the superb conditioning of its players, and Garbutt helped set the prototype for both. As well as his contributions to Italian football’s blueprint, Garbutt conducted the first-ever paid transfer deal on the peninsula and also made Genoa the first Italian club to play outside their native country (they travelled to England to face Garbutt’s former side Reading). He was trendsetter and a true trailblazer. International competition and paid transfers would surely have come along anyway, but it was Garbutt who set the foundations. Genoa had gone through a rough patch prior to Garbutt’s arrival and hadn’t won an Italian Championship since 1904. 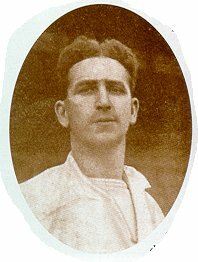 The glory of their early days had started to fade, but Garbutt restored some prestige to the club with three Championship wins in 1914-15, 22-23 and 23-24. Genoa haven’t won an Italian championship since. Garbutt may not have had as big a revolutionary effect on Italian football as Spensley, but his contribution to Genoa was just as immense. Not only did he return the club to its glory days but he did so with dignity and respect. Garbutt helped re-stablise Genoa after the War, and his intelligent approach to management is still being mimicked today. Post-Genoa, Garbutt would go on to enjoy a long management career with Roma, Napoli, Athletic Bilbao and A.C. Milan. He returned to Genoa on two separate occasions in the thirties and forties, either side of being deported by Mussolini, before eventually returning home and dying peacefully in England, 1964. It’s perhaps natural that neither of these men are exalted in Britain. Their greatest accomplishments came on foreign shores, but that doesn’t mean they aren’t worthy of reverence. James Richardson Spensley and William Garbutt were helped sculpt calcio into what it is today and I, for one, am very grateful for their contribution. Les Rosbifs, an excellent site chronicling the fortunes of English footballers abroad, features two excellent articles on Spensley and Garbutt. I’d recommend reading both: the writers are very knowledgeable and the articles are insightful and go into a lot more detail than I ever could. Paul Edgerton, author of the above article on Garbutt, has released a book on Genoa’s former manager that I will be ordering immediately. I’ve heard nothing but good things about the tome, and I’d recommend you check it out if you have any interest in the man.